Ok, here and now I admit that I have a thing about portable storage. There, I’ve said it. I have over the years needed bags for carrying my lunch to work, computers, cameras and clothes but also many smaller bags and pouches to keep things organised and safe when in other bags or drawers. Often though I’ve had a couple of bags before I’ve found The One for a particular task. Sometimes I’ll get a new bag simply because I’m bored with the colour or style of the old one, or it’s becoming a bit tatty. I do insist on quality of materials and construction and what does get my attention are good features such as good internal storage and maybe some innovative pocket or pouch like the little slide-out memory card holder on my Lowepro compact camera and SLR holster cases. The bag also has to look good too, colourful if possible. The thing is though that I am patient and I generally only buy a new bag when I can get a good deal on it. Like today’s new bag. 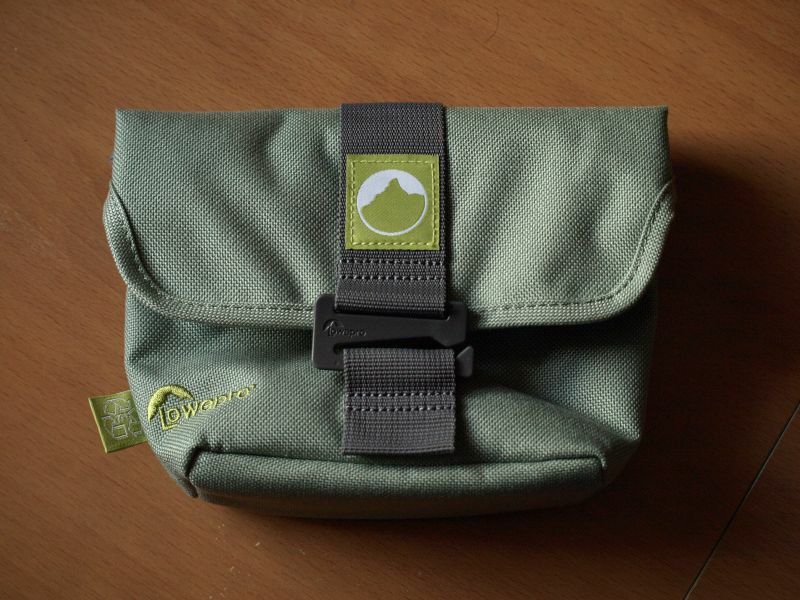 A local camping shop is closing down unfortunately but they were selling off lots of Lowepro Terraclime camera pouches for a couple of quid each. I have a use for one so I added it to my collection and an excellent bag it is too. Good looking, colourful and made from quality, sturdy, recycled materials and featuring a retainer that slides into a loop to hold it closed along with being designed so that the top opening folds over to close it fully and keep the elements out it’s a really nicely made bag. The interior has a soft lining and pockets for memory cards and the like. Now to find somewhere to store it. ← I’ll Write It… Tomorrow!